The garden hobbyist notices quickly the reasons why the Gladiator® system is so efficient and why it actually creates space in existing or under construction areas. The garden cabana, which had become too small before the installation of the Gladiator® pannels and channels, can more than double in size after not only using the floorspace, but now also every inch of the wall. One can easily hang large items with the Gladiator® hooks so they are on the wall, freeing up significant space on the ground. 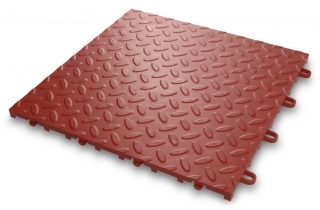 The range of Gladiator® products is extensive and enables to store small and larger items such as soccer- or basketballs, golfbags, surfboards, bikes,.... Once you start experiencing the product range, you will quickly notice how to best use each accessory and apply it to your specific needs. 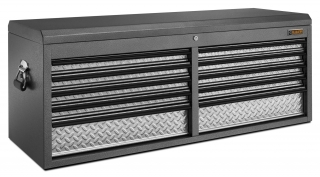 Also, as your family grows and their needs change, Gladiator® is the perfect modular system that can evolve accordingly. Every DIY'er misplaces a screw, nail, hamer or other tool. With the modulair system of Gladiator® channels/pannels and the specific hooks and other storage solutions, the DIY'er will easily find back its tools so he/she can continue on their home project without any aggrevation of not finding the right tools at any given moment. 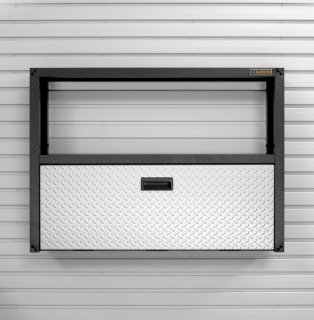 The car or motorcycle enthusiast can finally store all of its tools in perfectly adapted workbenches and cabinets to focus on their real passion. 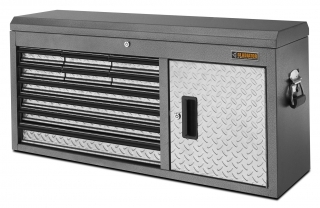 The storage solution of the Gladiator® concept includes small item bins for nuts and bolts, J&L hooks to store small tools or a clean-up caddy to store your favorite cleaning products. 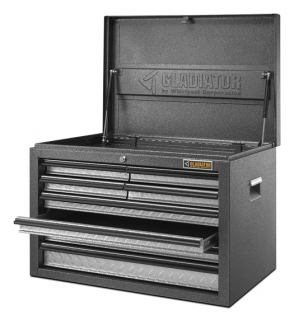 Whatever tool you can think of, Gladiator® has the best solution available.